The “Riverdale” Season 2 finale answered loose ends from the penultimate episode, in which we found out that the Black Hood has been Betty’s dad this whole time, and set up what’s sure to be an equally insane Season 3. First off, Jughead is alive (!) and F.P. is trying to convince him they need to move to Toledo because the Ghoulies took out all the Serpents. But Jug later finds out that the Serpents are taking refuge at the Whyte Worm, which Hiram Lodge is trying to buy — it’s the last property he needs on the Southside for a full takeover. But Ronnie has another idea. With the help of (now former Mayor) Sierra McCoy, she strong-arms her dad to give her the million dollars she received in ransom money from Nick’s parents, and then uses it to purchase the bar. She then uses the Whyte Worm to trade with Hiram for Pop’s with the hopes to use the Choklit Shop to bring the North and South sides together. Mayoral candidate Fred Andrews invites the remaining Serpents to stay with him and Archie for protection from the Ghoulies, who are working on Hiram’s tab, along with Penny, Cheryl’s mom and Uncle Claudius, and the new Sheriff Minetta. Oh, and he hopes that by giving the Southside residents refuge, he’ll earn some of their votes. We also discover that Archie was right — there is a second Black Hood, who was responsible for the shooting at the Mayoral debate and crimes that Hal didn’t get to. It was the Serpent Tall Boy, who was conveniently taken down in the riots portrayed last week. It turns out that the suspicions of many was confirmed: Hiram was paying Tall Boy to act as the Black Hood to cause chaos. The Mayoral race results are in: Hermione Lodge beat out Fred by a slim margin. Will their relationship get patched up next season? Maybe, considering Hermione definitely seems to be growing more suspicious of her husband and she came over to congratulate Fred on a well-run race. Hermione’s appearance at the Andrews home, and the discovery of Tall Boy’s crimes, inspires Archie to confront Hiram. Archie finally stands up to the mobster, threatening that some way, some how, he’ll make his bones by proving all that Hiram has done. Jughead is then crowned the new Serpent King, because F.P. is read to retire, for real this time. His first act as King? To induct Cheryl to the Serpents — with a specialized red leather jacket, of course. Jughead’s next act as King is to ask Betty to be his Queen. 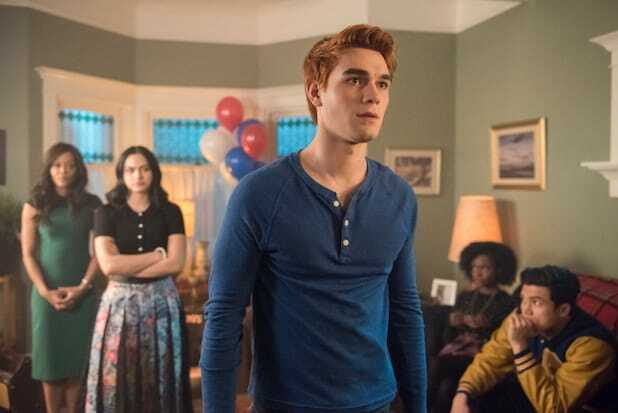 But before we get to hear if Betty decides to follow her mom’s footsteps and accept Jughead’s invitation, we have to watch Archie’s inauguration as class president. And before Josie can even make it through the National Anthem, Sheriff Minetta comes in to arrest Archie for murdering Cassidy Bullock at Shadow Lake (yeah, that was the same episode as the infamous hot tub scene. But Archie didn’t kill the looter, Andre did). And OMG we were not expecting that. Will Veronica hire Sierra McCoy to represent Archie? 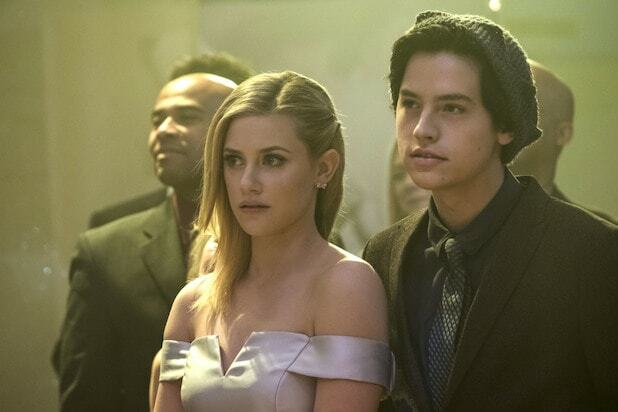 Will Betty and Jughead use their detective skills to clear his name? We have so many questions, but we’re sure that Season 3 will be just as much of a roller coaster ride as this season was, if not even bigger and with more surprises. (Want to re-live a highlight from Season 2? Check out our Q&A with star Casey Cott about the “Carrie: The Musical” episode right over here).